Well, it’s that time of the year again – I’m sure you know the routine by now. This time round, I’ve let Roky, The Cramps and The Misfits take a well-earned rest, and have instead found myself assembling a slightly more.. irregular set of all-hallows tuneage, I suppose. Not even spooky instro stalwarts The Ventures get a look in come to think of it, although there’s always room for Ennio. Aside from him though, Halloween comp debuts all round I think. As ever, I’ve tweaked the track-list for what I hope is a enjoyably cohesive listening experience, so try to make it through in one sitting… if you dare, etc etc. Things get a bit weird and grizzly towards the end, but then, what good horror movie doesn’t? Motion pictures represented through music and sounds herein include: Door To Silence, Andhera / Darwaza, Phantasm, The Velvet Vampire, Fascination, Lizard in a Woman’s Skin and Sorority Babes in the Slimeball Bowlarama. Anyway, to begin with the negative: sorry to say that sonics-wise, this thing is just plain muffled much of the time. Hiding in the corners of a dim, mid-fi recording, Apache Dropout’s adequate mid-tempo rockin’ initially doesn’t sound like very much of anything. Neither furious enough to be punk nor heavy enough to be heavy, it’s competently played but not sufficiently so to be noteworthy. Period-appropriate effects (fuzz, wah and Elevators-style plate echo) are intermittently employed, but generally emerge more distracting than exhilarating, and things never *quite* get psychey enough to really constitute ‘psych’. Frontman Sonny Alexander has one of those draggy, tired-sounding rock voices (rather like an under-nourished Edgar Broughton) that, though very effective for the kind of twisted songs he is elucidating here, doesn’t exactly demand one’s attention. 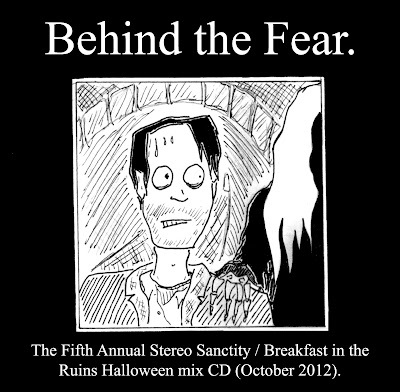 Possibly though, this chronic lack of whelm is just down to our expectation that modern rock records (even those deep in the garage/punk sector) will be cranked up to the nines with compression and EQ, whereas ‘Bubblegum Graveyard’ often just sounds like a bunch of flat, unmastered studio takes, complete with audible room-hiss that rises to consume each fade-out. If this was a recording of a regional ‘60s band or some long lost ‘80s SST session or something, we’d probably be happy to take it as it comes, but what can ya say – years of super-crunched alt-rock and distortion-drenched Stooge-punk have clearly taken their toll on tired ears. Anyway, lacking anything to really make us jump out of our skins on a prospective Soundcloud play, we’re left to fall back on doing things the old-fashioned way: putting the record on, listening to the damn songs and assessing their content - and thankfully there is a hell of a lot of content buried in here to enjoy. Though not quite a concept album (god forbid), there is definitely a strong, overarching theme connecting the songs on ‘Bubblegum Graveyard’, as the record sets out kind of a rough story arc, gleefully exploring a worst case scenario of the assorted perils that could befall unprepared youngsters immersed in the tumultuous world of mid-‘60s American pop culture (21st century retrospective fantasy edition). As the path of that mad decade lurches on blindly, our protagonists find themselves navigating dangerous and uncertain terrain, as the suburban enclave of Archie Comics, candy bars and bubblegum pop slides without warning into a Blue Cheer-soundtracked world of drug-induced revelations, vagrant living and armed robbery, leading inevitably towards the sinister orbit of “The Fried Stranger”, staying one step ahead of the law with his guitar and tape-deck. Two worlds, existing side by side, threatening to merge like the climax of some SF disaster movie, with the pop-psyche rhetoric of Jefferson Airplane and the universal symbol of the dune buggy operating as gateways between the two, as the journey from the parental Mid-West to the gomorrahs of the Haight and the Sunset Strip assumes a significance far beyond mere geographic distance. Clearly twisted pop-culture polymaths of one kind or another (it wasn’t until I typed their name into iTunes that I realised they take their name from that Edgar Broughton Band single that mashes up The Shadows ‘Apache’ with Captain Beefheart’s ‘Dropout Boogie’ – a perfect metaphor for the kind of cultural alchemy they’re working on this record, now that I think about it), Apache Dropout frame their narratives within a kind of ragged, acid-damaged horror rock (pitched somewhere between Roky and Thee Oh Sees maybe? ), and they certainly manage to capture the unique vibe of a dawn-of-the-70s hippy horror movies pretty effectively, whilst still retaining an ambiguity that reflects the blunted sensibilities of their zoned out teenage protagonists. 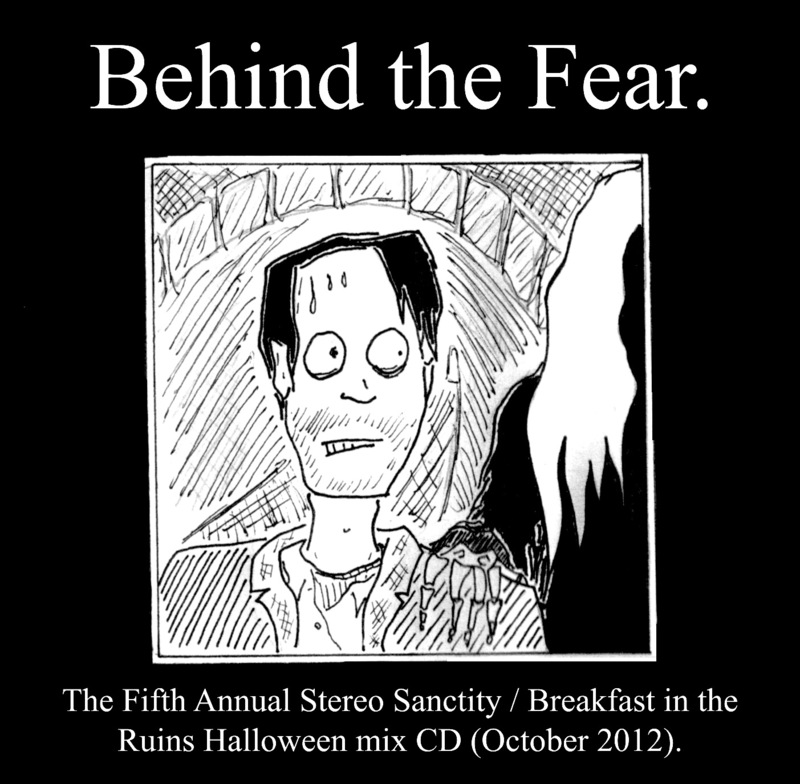 Thus the warped campfire jangle of “Ghost Stories” splits the difference between a bad trip and a supernatural visitation, whilst “Lady Blood” (one of the album’s most immediately enjoyable cuts, with a surfy guitar hook to die for) could just as easily be telling the tale of a ghostly avenger, describing the aftermath of a stoned murder, or just reflecting on the perils of a menstruating girlfriend. Whichever interpretation you favour, it’s certainly pretty unsettling, with Sonny crooning “the moon is full / and the smell is sweet”, as Stacy Sutherland-esque string work echoes and clatters behind him. Even their rendition of The 1910 Fruitgum Company’s perennial “1-2-3 Red Light”(sticky and slurred, but highly enjoyable with it) seems to emphasize a dark shade of sexual frustration and borderline rapiness previously unguessed at in that buttoned-down bubblegum classic. 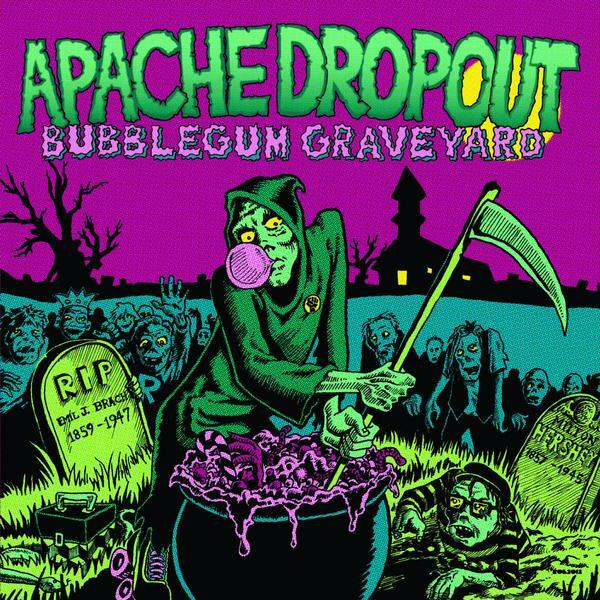 Far more interesting than a mere retro invocation of period clichés, Apache Dropout’s central technique of crafting songs *about* their chosen era of obsession strikes me as an area of vast & vibrant possibility, allowing ‘Bubblegum Graveyard’ to emerge as a real keeper - a record that fascinates more and transports further with each repeated play. As the lyrical details and odd sonic detritus of these songs work their way into your mind, initial reservations about the quality of the recording & performances seem increasingly irrelevant, as the band’s particular headspace starts to feel like an entirely natural and rewarding place to be. Not just a fun, twisted rock record, ‘Bubblegum Graveyard’ is a whole widescreen innocence & experience tale, framed in imagery dredged from the darkest corners of 20th century American mythology… and how many 30 minute garage rock albums do you get the chance to write sentence like that about?